Search in the enterprise suffers from lack of expert attention to tuning, care and feeding, governance and fundamental understanding of what functionality comes with any one of the 100+ products now on the market. This is just as true for search appliances, and open source search tools (Lucene) and applications (Solr). But while companies licensing search out-of-the-box solutions or heavily customized search engines have service, support and upgrades built-in into their deliverables, the same level of support cannot be assumed for getting started with open source search or even appliances. Search appliances are sold with licenses that imply some high level of performance without a lot of support, while open source search tools are downloadable for free. 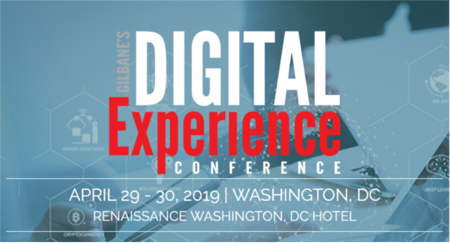 As speakers about both open source and appliances made perfectly clear at our recent Gilbane Conference, both come with requirements for human support. When any enterprise search product or tool is selected and procured, there is a presumed business case for acquisition. What acquirers need to understand above all else is the cost of ownership to achieve the expected value. This means people and people with expertise on an ongoing basis. Particularly when budgets are tight and organizations lay off workers, we discover that those with specialized skills and expertise are often the first to go. The jack-of-all-trades, or those with competencies in maintaining ubiquitous applications are retained to be “plugged in” wherever needed. So, where does this leave you for support of the search appliance that was presumed to be 100% self-maintaining, or the open source code that still needs bug fixes, API development and interface design-work? This is the time to look to system integrators and service companies with specialists in tools you use. They are immersed in the working innards of these products and will give you better support through service contracts, subscriptions or labor-based hourly or project charges than you would have received from your in-house generalists, anyway. You may not see specialized system houses or service companies listed by financial publications as a growth business, but I am going to put my confidence in the industry to spawn a whole new category of search service organizations in the short term. Just-in-time development for you and lower overhead for your enterprise will be a growing swell in 2009. This is how outsourcing can really bring benefits to your organization. Post-post note – Here is a related review on the state-of-open source in the enterprise: The Open Source Enterprise; its time has come, by Charles Babcock in Information Week, Nov. 17, 2008. Be sure to read the comments, too.